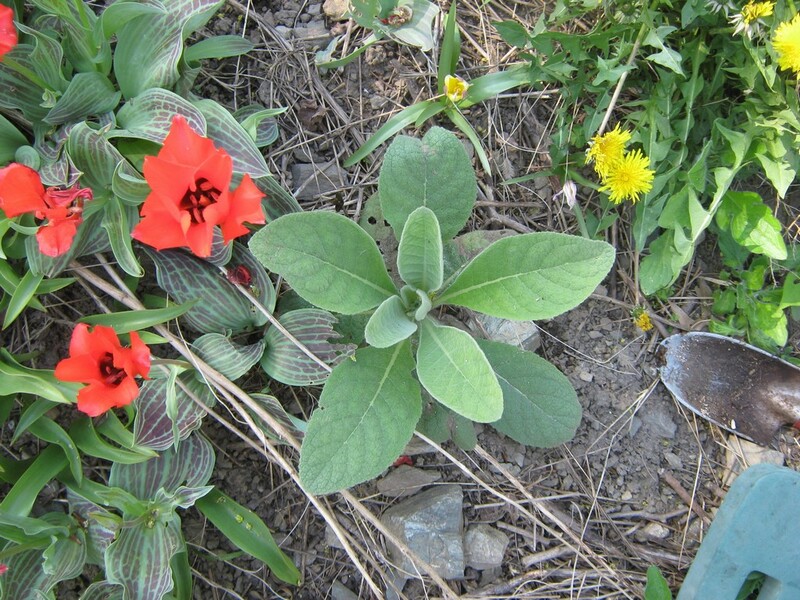 So here’s a weed that’s a bit easier to deal with than the Evil One. Mulleins. Notice the trowel poised to remove it. Ignore the tulips and dandelions. On, the first year rosette is pretty. The second year stalk is a spectacular six feet. But the yellow flowers were sadly few, and didn’t even feed any bees that I could see. Even dandelions feed bees. So, sorry mulleins. You’re gone.